Always felt like a photographer, but never had the time, knowledge or equipment to go professional? With Scoopshot, you can join a community of mobile photographers from all over the world and participate in daily photo contests. The good thing is: you can even earn money with it! Scoopshot was released at the end of 2011 as a platform for brands and publishers to crowdsource pictures for their magazines, newspapers and other media. Once the company buys a subscription for the application they can upload new contests every day. These contests last for that day only, to keep the content in the application up to date. For 2000 dollars per year, an organisation can upload as many tasks as it wants. Users can download it for free and earn from around 10-20 euros all up to hundreds of euros for special contests. By now, the application is used by more than 600.000 people in 200 countries. In the Netherlands the free newspaper Metro uses the application. For certain events, for instance a big autumn storm in 2013 (Metro, 2013), they create crowdsourcing contests (see picture below for example). From then on, users can submit their own photos (‘scoops’) and thereby help to develop the company’s product. which corresponds to phase one of the consumer value creation functions. As pictures are submitted the community comes into play and votes for a daily winner. The application does not only leverages extrinsic motivation, it also uses intrinsic motivation. Users can gain reputation when they get more votes and win contests, the so called ‘love and glory’ element of crowdsourcing (Tsekouras, 2015). They can follow the brands that they like, and help to co-brand these firm, making it a small brand community. This corresponds to phase two of the consumer value creation functions ‘compose and co-brand product’. By submitting scoops the user contributes to the brand. We can identify two types of consumer contributions, namely user-generated content observation and contribution of user-generated content (Tsekouras, 2015). So how big can this application become? I mentioned that it already has quite a lot of users worldwide, but it is not used a lot in the Netherlands yet. In fact, Metro is the only company that is active on the platform. Robert van Brandwijk, Editor in Chief of Metro Netherlands has stated that their goal is to have at least 50% of their photos delivered by Scoopshot (Scoopshot, 2015). Will other companies join in as well? Popularity of the Dutch application ‘Happening’, shows that people like to participate in photo challenges (Tuenter, 2015). Happening allows photo challenges within friend groups, without an extrinsic motivation and is very popular nonetheless. What do you think about Scoopshot? Can it become as popular as Happening and could it be the future of news photography? Metronieuws (2013). 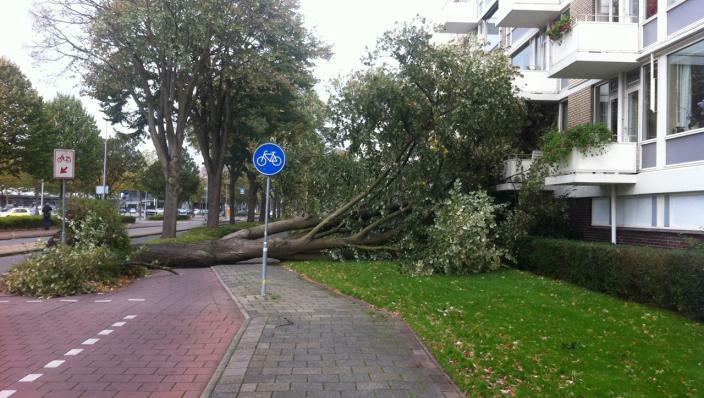 ‘Scoopshot: Heftige herfststorm’. [Online] Available at: http://www.metronieuws.nl/extra/2013/10/scoopshot-heftige-herfststorm. [Accessed on 01-05-2015]. Tuenter, G. (2015). ‘En? Ben jij al Happeningverslaafd?’. [Online] Available at: http://www.nrcq.nl/2015/04/12/en-ben-jij-al-happeningverslaafd. [Accessed on 01-05-2015]. Scoopshot (2015). ‘Images and subscriptions for every budget.’ [Online] Available at: https://www.scoopshot.com/. [Accessed on 01-05-2015]. Tsekouras, D. (2015). ‘Consumer Centric Digital Commerce session 5’. Business Information Mangement. RSM Erasmus University.